Getting to know you…getting to know all about you. It’s what we do. At Paulson, Dyra & Company CPAs, we’re great with numbers, but more importantly, we’re great with people. We make it our goal to help you achieve a bright financial future. When your profitability and future success is at stake, we know the cookie-cutter approach doesn’t cut it, which is why we take the time to get to know you, your business and your goals. 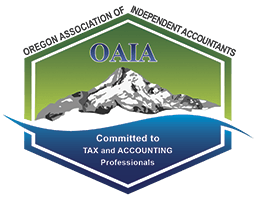 Our experienced team of trusted advisors go beyond traditional CPA services, providing expertise in all aspects of accounting and advisory services. We work with you to gain a deep understanding of where you are now as well as where you want to be. We know we can’t help you grow your business until we get to know all about you. It really is our favorite part of the job! Laura Dyra has rejoined the firm! I’m back! I feel like I’ve come home! I wanted to let you know that I’ve returned and I am looking forward to working with you again in the upcoming months! Feel free to stop in, call or email me to say ‘Hi’. My email address is the same as before: laura@paulsonlessard.com. We are excited to announce the recent launch of our firm’s new website. We’ve been working very hard to enhance our website and give our firm a facelift. We’ve also continued to research and identify the latest and greatest technologies to improve the services we provide and ensure we continue to meet your needs.